The major attention was on the IPC Athletics World Championships in Doha and the Morrisons Great South Run, which will both be covered in more detail in this week’s AW magazine, but there was plenty of other notable action. Central AC were easy men’s winners in 49:57. Shettleston and Inverclyde completed the medallists as 83 teams competed, though well over 100 started. Tsegai Tewelde ran the fastest leg of 12:07. Edinburgh AC won the women’s race in 43:44 with Victoria Park Glasgow and Central AC following them home. World 1500m finalist Laura Muir of Glasgow University Hare and Hounds was easily the fastest with a leg of 13:35. Edinburgh AC won the young athletes women’s race with Giffnock North B team beating their A team by a second to finish second. 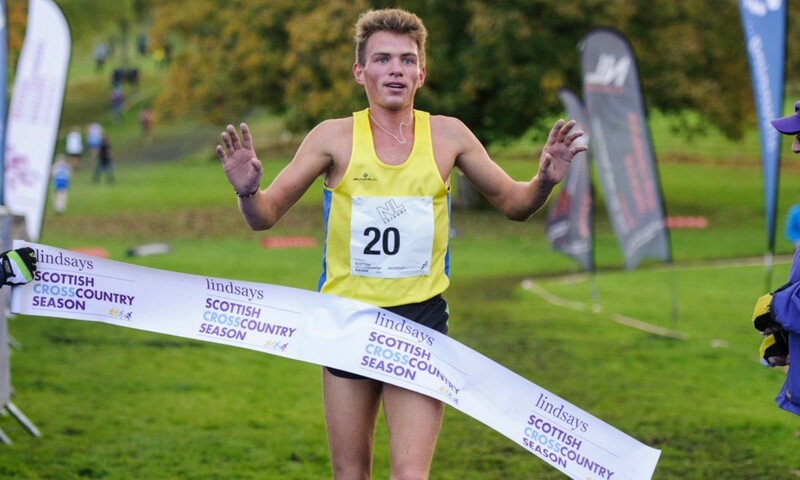 Kilbarchan won the young athletes men’s race. A fuller report will appear in this week’s issue. Midland clubs took the two major honours. Leicester dominated the M35 event with their anchor leg Mark Powell the fastest with 9:43. Heanor were the women’s W35 winners with again their last leg Lisa Palmer quickest with a 10:54 time. The over 45 titles were both won by teams who last year won the over-35 events. Mansfield won the M45 race with their Mark Johnson producing the men’s quickest of the day of 9:41. Dulwich Runners won the W45 race by three minutes with Clare Elms the fastest by 77 seconds with 11:14 to get the South of England’s only victory. The other titles also went out of the Midands. Wales’ Prestatyn won the W55 event and the north’s Wirral and Rotherham took the M55 and M65 races. A full report and David Griffiths’ photographs will appear in this week’s magazine. Teenager Niamh Bridson-Hubbard won the women’s race easily to improve on her second from the first fixture. Another junior, Max Nicholls, won the men’s race. The outstanding winners of the younger age-groups was English Schools’ champion Sabrina Sinha who beat a top class under-17 women’s field and Rowan Fuss who won the under-13 boys 3km by almost a minute. Steve Roe’s report and Jeremy Hemming’s photographs will appear in this week’s issue. Former national champion Richard Goodman of Shaftesbury Barnet won the men’s race by over a minute in 23:47. Alex Gounelas of Eton Manor won the women’s race in 17:12. Paddy Hamilton won the men’s race and Emma Mitchell the women’s. The event included the Northern Ireland & Ulster Even Age Group Championships and over 1000 young athletes from all over the nine counties of the province contested the ten races. James Edgar, who is a member of Ireland’s Elite junior triathlon squad, easily won the under-18 men’s race. Malcolm McCausland’s report and photographs from the event will appear in this week’s issue. Ethiopia’s Sisay Lemma won in 2:06:26 ahead of Kenyans Lani Rutto (2:06:34) and Alfers Lagat (2:06:48). Britain’s Callum Hawkins put himself in line for Olympic selection with a fine debut and 12th place in 2:12:17. His brother Derek had run a 2:14:04 PB in this race in 2012. Jonny Mellor also made a good debut with 2:16:52. Arne Gabius set a German men’s record of 2:08:33 to break Jorg Peter’s 27 year-old best. Ethiopia gained a women’s clean-sweep. Gulume Tollesa and Dinkinesh Mekash shared the winning time of 2:23:12 while Koren Jelela finished third in 2:23:52. More can be found in an online report here, while a more detailed report will appear in this week’s magazine. Kenya’s Julius Chepkwony won the men’s race in 2:11:08. Ethiopia’s Ehite Bizuayehu was the women’s winner in 2:35:19. JP Durand’s photographs will appear in this week’s issue. Limenih Getachew won the race in a course record 2:08:19 and it was an Ethiopian double as Melkaw Gizaw won the women’s race in a PB 2:25:42. Kenyan Marius Kipserem won in a course record 2:09:23. Ethiopian Netsanet Achamo won the women’s race in a course record 2:27:14 while Marius Kimutai of Kenya won the men’s race in a PB 2:09:14. Just four weeks after setting a 2:15:49 PB in Berlin, John Gilbert won the men’s race in 2:33:39.